Are the cartridges for the LaserJet 500 M551n printer and the HP M570dn printer the same? 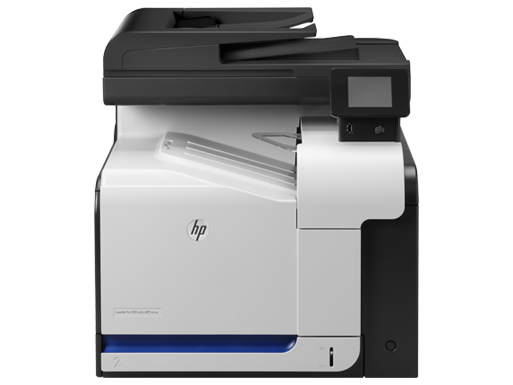 With the HP LaserJet Pro 500 color MFP M570dn colour laser printer, a small business can improve its productivity while saving money from buying other devices. The HP M570dn all-in-one is a colour multifunction laser printer with a copier, fax machine, and scanner, a user-friendly operator panel, and an environment-friendly system that helps reduce operational costs. The high initial price and absence of some useful features are the main setbacks. This boxy device measures 20.3 inches wide, 21.2 inches tall, and 19.7 inches deep, and weighs 40.8Kg. It has a 250-sheet input tray, a 100-sheet multipurpose feeder, a 50-sheet automatic document feeder, and a 250-sheet output bin. The centrepiece of the operator panel is a 3.5-inch touchscreen with LED indicators and one-touch buttons for navigation, help, cancel, and the home screen. The HP LaserJet Pro M570dn colour printer is powered by an 800MHz processor and runs on 258MB of RAM. The device includes a flatbed scanner, digital copier, and 33.6Kbps fax machine. Standard connectivity is via Ethernet, a host USB, and high-speed USB 2.0. Features like the dual-head and single-pass scanner, two-sided printing, digital file conversion of hard copies, automatic document feeder, and the fast 31ppm print speed help save time. The LaserJet Pro 500 M570dn multifunction printer simplifies operation with the colour touchscreen, and it is possible to print directly from mobile devices or remotely monitor the device when it is shared by a workgroup. The HP LaserJet Pro 500 M570dn colour multifunction printer helps save energy and reduce operational costs with auto on/off technology, instant-on, and instant-on copy functions. The fax is fully featured and compatible with PC faxing. Original HP LaserJet M570dn cartridges are easily recyclable and cheap recycled HP M570dn toners can be purchased to help cut costs. The HP M570dn MFP is expensive and it does not have wireless capability. It is heavy and bulky, too, so users need to have a sturdy surface for set-up and installation. Additional room for the paper trays and front compartment are also required by the LaserJet Pro 500 M-570dn. The memory and paper capacities cannot be expanded.